Traditionally, movies and television have been the primary ways to tell a story visually, but in recent years video games have emerged as a powerful way to craft a narrative as well, putting those playing these games, in control of complex narratives. Assignment: Radio’s Michael Rymer looks at how storytelling and the players’ experiences have evolved over the last three decades. Assignment Radio’s Michael Fox recently met with the leaders of an Oklahoma City based group that focuses on honing their combat skills. Cosimo Vestito "Playing an Instrument"
Playing an instrument can be very rewarding, but beyond the satisfaction of learning a new skill, it can be connected with powerful emotions and memories. Assignment: Radio reporter Cosimo Vestito met three professional musicians who describe how music has affected their lives. Assignment: Radio reporter Trauvello Stevenson speaks with award-winning poet and OU Senior Shania Thomas about her passion for WORDPLAY. Assignment: Radio's Megan Gay speaks with OU Film professor, Dr. Katrina Boyd, and explores the role that music plays in film. Records were the popular medium for commercial recordings from the 1950s through the 70s, before cassettes and eventually CDs and digital downloads became the medium of choice for most music lovers. However, thanks in part to DJs and those perhaps with a bent for nostalgia, vinyl has never quite left us. In fact, the last four years have actually shown an increase in interest in the vinyl industry. In 2011 The Beatles’ “Abby Road” sold some 41,000 copies on vinyl, making it the highest selling LP for the third year in a row according to Nielsen SoundScan. Assignment: Radio reporter Paige Willett spoke with one local entrepreneur and fan of the medium to discover why he and others seem to prefer playing records. With all the possible ways to get music, radio, audiobooks and podcasts, sometimes it can be hard to know when NOT to push “play”. Web extra: If you enjoy the music played on the show, here's a list of some of the tracks used this semester. Rymer: One notable difference between video games, and movies and TV? Control. Watching a movie or a television show is a passive experience. 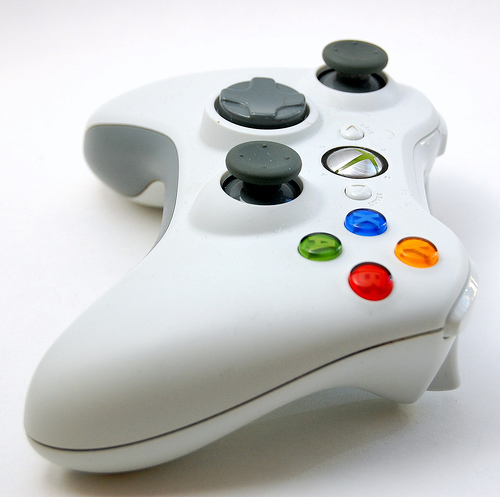 With video games, players have to interact with the game world in order to unfold the story. Carr: There’s more agency on the part of the audience in a video game than there is in other forms of media. Rymer: Brian Carr is a Doctoral student in the Gaylord College of Journalism and Mass Communication at the University of Oklahoma. Carr: Now, I do want to preface this, that a lot of times we are still subject to very sort of specific restraints. Rymer: His research focuses on how issues like race, gender, and history reinforce economic and political worldviews through video games. Carr says the first arcade titles barely had much of a narrative, if any at all. Carr: something like Pong would fall right in there. There’s story, there’s no real meaning behind it other than…the instructions for the game are basically, literally avoid missing ball for high score. Carr: Gradually you start to see narrative kind of develop in games. Games get a little more complicated. You have Pac Man having these little cut scenes in between where Ms. Pac Man and Pac Man are chasing each other around and they fall in love and it’s cute. Carr: Then you go onto to Donkey Kong, which is kind of the first game to sort of have a sort of three-act progression. It’s a very simple story; it’s not a complex story by any means, but there’s a beginning (Donkey Kong steals the girl) there’s a middle (Mario chases Donkey Kong) and there’s an end (Mario defeats Donkey Kong). Very simple three act structure. Carr: As games have become more and more audio/visually powerful, we have more processing power; we have better sound capability, better graphics capability. All these sorts of things, they have by nature kind of extended that. They become more cinematic in scope. Carr: What we’re getting to now is that players are kind of expecting more and more input. So you start seeing games where you have morality systems; where every action you take in a game universe has some sort of weight or consequence to it. You have this sort of thing where it’s almost like a choose your own adventure story. Carr: So for example, in Mass Effect 3 you have certain choices you make in the game. For example…this character that you have had a long road with is all of a sudden threatening another one of your characters. Which one do you side with? Or there’s one point in the game where you literally have to make the choice as to whether or not one alien civilization lives or another lives. And that’s a pretty weighty decision. It’s obviously fictionalized but that’s the sort of thing that then there’s usually some sort of significant outcome or impact as the result of that. Rymer: Zack Youngblood shares Carr’s passion for video games. In his spare time, Youngblood continues his progress in the Mass Effect series. Youngblood: I am actually playing with a character that it made me choose on this mission because he was part of a science project that experimented on a different race of aliens to figure out how to wipe them out because they had been wiping out other alien races. These games kind of pride themselves on basing the next game off of the decisions you made in the game before that. And so…this is Mass Effect 2 so the decisions I made in Mass Effect 1 affect how which characters I had and if they liked me or not. Rymer: Due to limits in both programming and memory capacity, video games can’t allow ultimate freedom. Even in games with a multitude of outcomes, players still must make decisions to move them forward to the end. Some games acknowledge this in their narrative. Irrational Games’ first-person shooter, Bioshock, even comments on how obedient players must be. Rymer: At the end of the story, the antagonist confronts you and tells you that you’ve been under mind control of someone you trusted the entire time. Carr: So, everything you’ve basically known, you were being led around by the nose. And they make a very big point of out it. It’s like “you are essentially…whatever you do, you are the puppet, and you will dance.” It kind of makes you think, whenever you follow an arrow towards an objective in a game or something like that, you have this sort of idea that “well I want to go do this. I want to see the next thing. I want to see the next thing.” But it never really occurs to you like, “Well am I doing the right thing? Is there some sort of ulterior motive? Who are the people I’m fighting against?” and that sort of thing. And what that game does very well is kind of make you question that, and sort of question not only what you’ve done in that game but every other game before it. Carr: I think interactivity is a big thing. I think that’s why games have a lot of potential to do really interesting things with narrative, with persuasive messages, with that sort of thing. And so games really offer you the ability to engage with these ideas on a really interactive level that I don’t think movies and other media can. Rymer: Software developers will always look for the next big thing in video games. Enhanced visuals and detailed sounds increase the realism of video games, and as more game systems provide motion sensory-based gaming, body movement allows players more control than ever before. But that narrative structure, and their thirst for virtual adventure, is why gamers like Carr and Youngblood keep picking up their controllers. Fox: Twice a week the members of TriPoint sparring Association, meet in the heart of Oklahoma City to train their body and mind in the art of what some might consider ‘play’ combat. Such fighting is often an aspect of so-called LARPING, but Tri-point Sparring Association founder and President James Harmon, offers a distinction between role-playing and what his group is about. Harmon: Larping involves a story. A definite beginning a definite end. A true story of a character moving on. We don’t have characters, we train and we fight. We are padded weapon fighters. Fox: The members of Tripoint Sparring Association engage each other in one on one battle for most bouts. Most of the weapons are sword like instruments, ranging from the quick and nimble katana to the slow and large battle-axe. The rules of the battle vary depending on what type of game they are playing. James Harmon explains some of the different types of games. Harmon: One of the easiest one we do especially for outsiders who never fought before. Is something just simply called 5 point tag. Where I got to hit you 5 times before you hit me 5 times. We don’t allow strikes to the head, the groin, the wrists, or the hands. Because those well while the first two hurt very much and the other two, well, they’re too easy of a target. We prefer that you work for those points, get past my hands and strike the heart. Fox: Tripoint’s enrollment varies. In the summer their numbers sometimes reach over 20, other times membership might plummet to only two. The ages of the fighters also varies. Harmon tells why this makes his group special. Harmon: When it comes to different fighting groups they are all different. We are unique in one aspect, we accept children. And we gear towards children specifically sometimes. We don’t use power in our hits. Cause it’s not about power. Any monkey off the street can learn power. You can go to a gym pump some iron and your strong there you’re done. What we teach specifically are styles skill speed ingenuity technique. The whole idea is any monkey can swing a stick. We are going to teach you to become a fighter. Fox: Harmon is aided in his quest by his head engineer, Andrew Robbins. Robbins has had formal teaching in both Japanese katana and the European rapier. Robbins uses this knowledge to teach others how to fight. Robbins: The one thing I enjoy the most would have to be teaching people what I know. Knowledge is only as good as who you share it with. If you keep it for yourself its useless. Within training you can take someone who has no confidence at all and teach them how to use a sword. Not only will that help them inside the battlefield that will help them in society itself to have the confidence do what they know what is right or to step forward. Fox: Safety is important at Tripoint. Both Harmon and Robbins test each weapon before use to ensure that no serious injury befalls any of the combatants. Robbins who comes up with the designs of the weapons describes his safety measures. Robbins: I come up with new weapon designs, whether it’s the core, repadding, pretty much you name it. I build it, test it, if I don’t think it’s safe I am not going to bring it to the group. If I don’t think it’s up to par, and up to safety regs. I’ll break it just to see where it will break at and then I will make another one that I will bring to our head of safety to let him test and if he passes it goes into the arena. Fox: Both Harmon and Robbins enjoy what they are doing. But Harmon also enjoys the physicality of the battle. Harmon: It keeps me active. I’ve got two bad knees; my mother has two bad knees and is sometimes wheelchair bound. Earlier in my youth I busted my knees up pretty badly and I was on a cane for 6 months or more. When I got back into this the pain stopped, because I was moving again. It gave me a reason to do do something. Most of my life as a gamer I have played the hero swinging the sword at various objects. I wanted to be that guy so I made my own blade out of spare parts, and now I am that guy. Fox: The Tripoint Sparring Association meets every Monday for individual training and every Saturday for practice fights. Ewing: You go into this thing where you’re on fox sports and 9 million people are watching your show. Wilder: Producer Whitney Ewing initially found this to be a very intimidating task, but she says she and the other students involved in the student-produced Sooner Sports Pad have started to have with it. Ewing: You see people at athletic events and their like hey and they recognize my host and its cool that other media think it’s a cool thing. 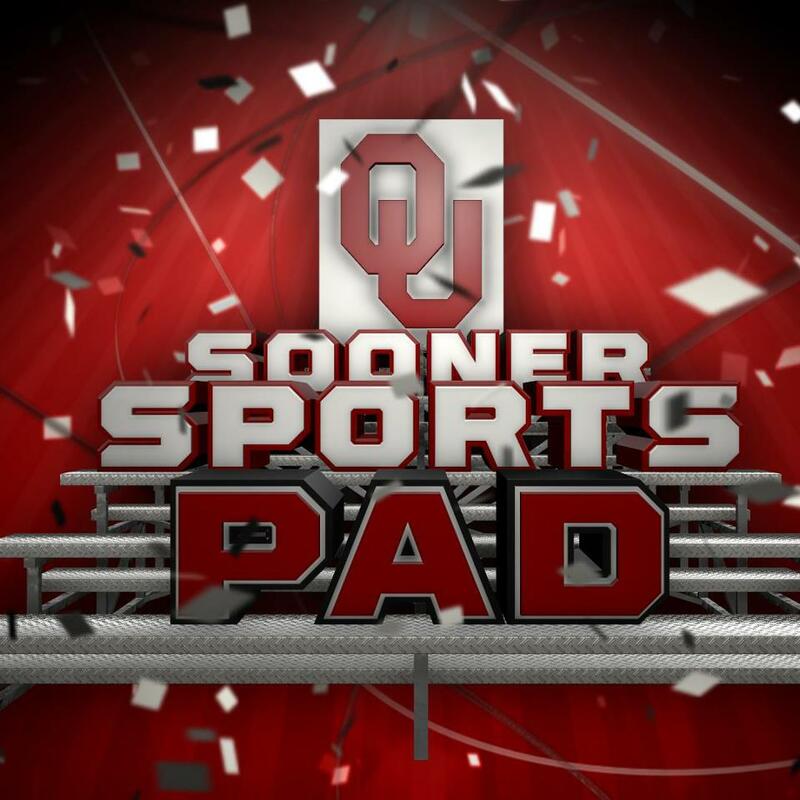 Wilder: The show was originally called “OUr Sports Pad”…with the first two letters capitalized for visual emphasis, and only broadcast locally alongside the other programs produced by OU’s Gaylord College of Journalism and Mass Communication. It got a professional facelift over the summer, spearheaded by Assistant Athletic Director for Broadcast Operations Brandon Meier. Matthew Fresquez is one of the student hosts of the show. Fresquez : There’s something like an adrenaline rush where your in front of a camera and your talking sports… its what I want to do for a career so its all worth it because I think in the long run this will help more than maybe a degree will . Wilder: The educational aspect means the show is a learning process. Many of the students spend most of their week preparing for the next show…by covering games, selecting highlights of some of the best plays, and taping promotional spots, but Meier says the hard work is paying off, and the FOX Sports Network has noticed. Meier: They love the live audience they haven’t seen that at any other school and they like the fact that the guests are really good that there are football players coming over every week… basketball players… they’re getting better guests on this show than they are at the media press conference on Tuesday. Wilder: Since the September 25th premiere, the show has attracted some of the most high-profile athletes around the O-U campus. Football quarterback Blake Bell, wide receiver Kenny Stills, and women’s basketball standout senior guard Whitney Hand have all appeared on the program. Ewing: In the future… I know its not going to be while I’m here but I want to be at a point where guests are asking to be on the show and I want it to be that we have to put chairs behind the camera that’s how many people want to come we want to fill the whole studio. Wilder: The show continues to the grow almost three months after its debut, but Brandon Meier says the main focus is on the unique opportunity O-U’s aspiring sports broadcasters receive. Meier: live and its real that’s good and scary to some students but it’s a great experience for them and an experience I don’t think students at any other university around the country are getting and in fact I know they’re not. Tripi: My name is Jennifer Tripi, I have got a bachelor in Piano Performance and Piano Pedagogy, in Georgia, and I did my master here in OU in Piano Pedagogy. Tripi: I started piano lessons when I was about 5, so very little, and actually I have this picture framed up here in my studio, I drew it when I was 6, and it says that "I think I want to be a piano teacher when I grow up". I knew when I was 6 years old that I wanted to be a piano teacher. I just always just stuck with it, it's just something I love to do from an early age. Tripi: One really cool memory is, do you know the piece Claire de Lune, Debussy? A lot of people love that one and my grandfather loved that one especially and my last memory of him is me playing it for him and having him crying and lots of people cried when I played that piece. It's just amazing how you can touch people that way and bring out emotions just by playing a piece of music. Walshap: My name is Eric Walshap. I am a saxophone player from Norman, Oklahoma, been here for about 24 years, born in New York. I'm a master student of saxophone performance major. Walshap: At this point music has completely enveloped my life. All my friends are musicians, all my activities are music related. So whenever I'm playing my saxophone, it's literally like an extension of my body, like an appendage. When I'm playing and I close my eyes in front of 500 hundred people and just pretend by myself and basically enjoying my time on the stage with my fellows musicians. And this is the most natural thing in the world, it's like breathing at this point. When you first begin it's quite intimidating, you're kind of scared, you're worried of playing around. But after playing long enough with any instrument, and really with any career, I would say with any job, you get so used to playing or doing what you do, it’s just become a second nature like with anything. It's kind of like singing for me, not that I can sing at all, playing an instrument just come very easily for me not because I'm crazy talented just because I’ve done it for so long now. I think I'm now in my 14th 15th year of playing. Walshap: Every form of income that I have is music related, from performing professionally, to working at OU, to teaching lesson, to running my music art academy, all my friends are musicians. I went to high school here in Norman but as soon as I got to college everybody moved away or got to different majors, different schools, whatever, so all my friends except maybe two of them are musicians, when I go on Facebook and I ask "Hey, somebody plays guitar for me?" 20 30 40 people say "yes", because all my friends are musicians so without that I can't imagine what I would be doing as far as a career, who I would know, all my friends will be different. I have no idea as far as an income, what I’d been doing, probably flipping burgers somewhere. After 10th grade when I decided I want to focus on music I focused in it so hard that other classes kind of took a backseat, just excelling in band or saxophone. I never really enjoyed math, science or history things like that, they weren't bad but when I went to the band class with the jazz band, it was a totally different level of love. I couldn't see myself doing anything else right now at this point. Mansfield: I'm Beau Mansfield, I'm 41 years old, grown up in Norman, Oklahoma, lived in East Coast for about 12 years and then about 11 years ago I moved back here. I play all kinds of music, play keyboards, I sing, I compose, I write songs, I have got my own little band the Beau Mansfield trio. Mansfield: I don't think that any human being, in any community in this planet, on this planet brother, I don't think anybody can not have some kind of music. One time I was out in the woods on a camping expedition and there were a fair amount of strangers I'd never met, and we didn't really have many musical instruments. We had a couple of hand drums and things like that and I'm saying with no music instrument except little drums to play like bongos and stuff like that and I felt like that's my role in society even when circumstances are reduced to pre electrical circumstances, that's my role. I know that place where other people were not comfortable singers or players need me the things that I do, the things my colleagues and I do so I can't imagine a world without music. Stevenson: Shaina says her love for poetry began a long time ago when she discovered some of the greats like James Baldwin, Maya Angelou and Langston Hughes. But her inspiration does not stop there. Shaina uses sociological, African American societal issues and her own experiences to inspire her poems as well. One of her most meaningful experiences comes from her time spent at Vernon Chapel AME church on Greenwood Avenue in Tulsa, Oklahoma. Thomas: Once I got into Vernon and I started question history that’s when I shifted my word play to focus primarily on societal factors, like OK the kids know was up, they know what they have to do but um lets talk about what you have to do, society right to…what’s the word to contribute to the shift in dynamics you know whatever so at Vernon with this new perception I started reciting poetry well performing poetry. I hate to say recite but any way I started performing poetry at Vernon and I took on more of a positive attitude about it and the most important poem that I’ve ever written and I still bring it to OU all the time, like my freshman year I definitely pulled out the poem, sophomore, junior and senior year I actually just won a trophy, first, yes…yes at Kalediscope talent show out on by the Deltas. Yes! And I won but the most important part is the poem. 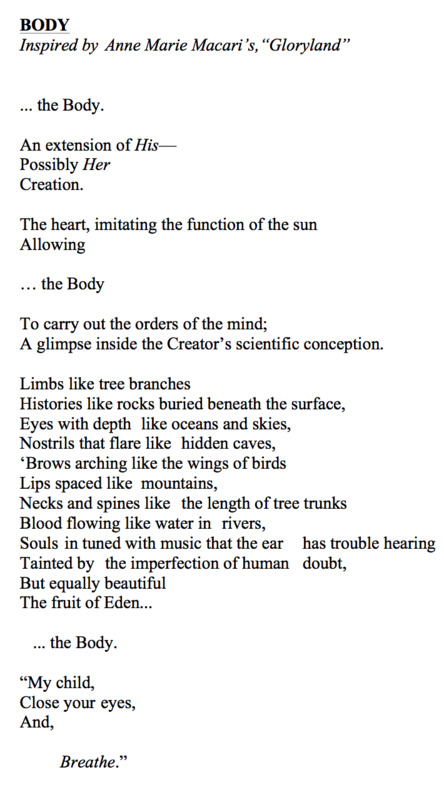 The poem is an empowerment poem. Stevenson: Shaina won first place at Kaleidoscope, a talent show held annually by the sorority, Delta Sigma Theta at OU. She performed one of her favorite pieces called Three Dollars and Six Dimes, which was inspired by a song from American soul singer, and songwriter Erykah Badu called On and On. And realizing that, she has gained a higher appreciation And now, she’s ready to face the world and society's false impersonations Of what a REAL...woman...is." Stevenson: Shaina says word play is an effective technique that she uses to evoke the audience’s attention and emotion. Even more, Shaina thinks the layout of the words on the page also puts a lot into the meaning and performance of the poem. Shaina says her poem, “Three Dollars and Six Dimes” exemplifies her style. Stevenson: After graduating in May, Shaina hopes to pursue her Master’s and Ph.D. at Georgia State University in Sociology with an emphasis on Race and Urban Studies while also continuing to work on her craft of poetry. Megan Gay for assignment radio speaks with OU Film professor, Dr. Katrina Boyd, and explores the role that music plays in film. 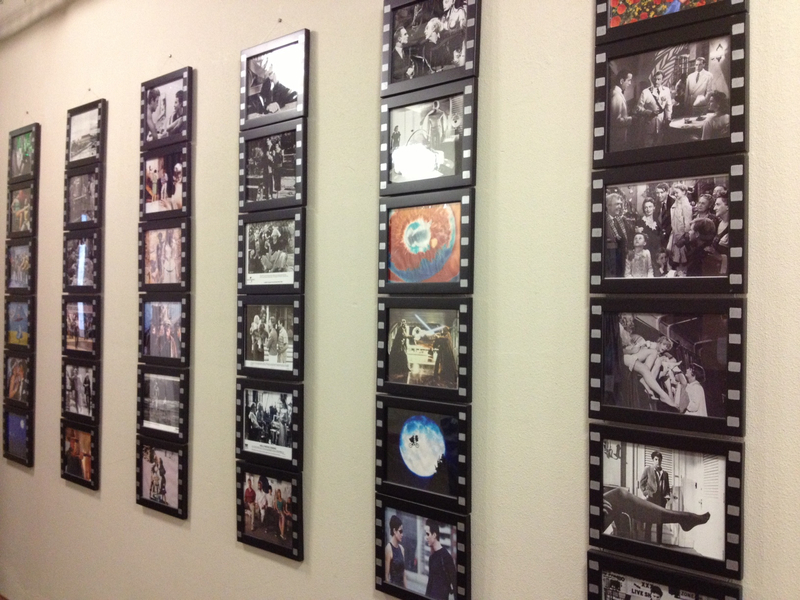 Gay: Music plays a large role in the film industry and lots of iconic songs are stuck in the hearts of Americans. One genre of film that relies heavily on music is –of course—musicals. OU professor Katrina Boyd shares her ideas on the different role of music in dramatic movies versus musicals. Dr. Boyd: So one of the things that’s interesting about film music is that usually the music is meant to be very much in the background and not really noticed. In fact, one very important work on film music that (I had the privilege of taking the course with he woman who wrote this book, Claudia Gordman) a book called “ Unheard Melodies,” with this very clear title about that idea that the music is supposed to enhance the mood without, you know, just playing in the background without our being aware of it but it’s very important for setting the emotional tone. Gay: The Wizard of Oz is one of the most iconic and popular family favorite examples of this. The beginning credits offer the song “Somewhere over the Rainbow” without the lyrics and then reintroduces the song later in the movie with Judy Garland singing. Boyd says even though many don’t think of the Wizard of Oz as a musical, it is. Wizard of Oz is a kind of interesting example because it is a musical in that sense of having the music in it and all of that stuff but it doesn’t follow the typical patterns of musical comedy and so on so technically, it’s a musical, but that’s the thing with genre. There are always these kinds of outliers. It does tie into one of the general themes of the musical with the sense of music being related to freedom and there is some kind of repressive social order you know that’s embedded in it. Gay: Dr. Boyd is an assistant professor of film and media studies at OU and teaches a course titled “Hollywood Musical.” She expands on the idea that music and over-the-top emotions help actors in musicals give a memorable performance. Gay: Professor Boyd says when thinking of popular musicals, our memory has a way of associating the lyrics and story line together. Every semester, Professor Boyd asks her students what their favorite musical is, and “Grease” is the word. Records were THE popular medium for commercial recordings from the 1950s through the 70s, before cassettes and eventually CDs… and even digital downloads became the medium of choice for most music lovers. But, thanks in part to DJs and those perhaps with a ‘bent’ for nostalgia, vinyl has never quite left us. In fact, the last four years have actually shown an increase in interest in the vinyl industry. In 2011 The Beatles’ “Abby Road” sold some 41,000 copies on vinyl, making it the highest selling LP for the third year in a row according to Nielsen SoundScan. Assignment: Radio reporter Paige Willett spoke with one local entrepreneur and fan of the medium to discover why he and others seem to prefer playing records. Vera: We’re at my turntable in my apartment. This is my most favorite place in the world I think sometimes but… I’m now putting Copperheads’ “Apocalyptic Behavior” on the turntable; a record that I produced, and it’s something I’m really proud of. NAT SOUND: Buttons pushing and turntable starting. MUSIC: Copperheads – “Windshield Wiper” Fade from speakers to digital track. Willett: Rob is a consultant for a software company, but he’s also the co-founder and co-owner of Okie Dope Records in Oklahoma City. He and his partner, Clint McEwen, got the idea to start putting out vinyl for local bands in 2009, but nothing came of it for two years. Willett: But it did. In 2011, the two got serious about their record label and released a 7-inch split featuring two Oklahoma City bands The Copperheads and The Boom Bang. This track is “Jabroni Ramoney” by The Boom Bang from that record. Vera: The Boom Bang, you know, are a band that… I mean, James Smith is… We were just in awe of him because he’s such a personality and performer in that Mick Jagger sort of way. He gets people sucked in. The Copperheads, I fell in love with them because not only did they sound like a good rock band in those normal ways that tick the box… You would think that maybe they were some punk band or whatever, and all the sudden they’ll throw you a curve ball. These young guys did a Joy Division cover at a show at The Conservatory in Oklahoma City. It’s really obscure, and I’m not sure how many people recognized, but I did for whatever reason. I thought, “That’s awesome.” It’s the best cover of theirs I’ve ever heard in my life. Willett: In November of this year, Okie Dope released its second pressing. A full length album by The Copperheads called “Apocalyptic Behavior.” This is the title track from that album. Willett: But Rob’s love of vinyl that has manifested into a unique outlet for bands like these in the Oklahoma City area began when he was a child. Vera: I’ve always loved music, and I actually had a record player when I was in second grade, you know third grade. And I think I had Def Leopard, INXS, and the American Graffiti soundtrack and that was all I thought I would ever need of rock and roll. Willett: Years later, a friend from college gave him a turn table as a housewarming present. Since then Rob’s infatuation with the medium has grown into a collection that fills up several shelves of a bookcase and boxes that are scattered about the floor in his music room. In today’s music industry where most music is purchased by the single, digital file, Rob feels we’ve lost the concept of the album and he has specific reasons for liking his fragile medium of music. Vera: Could you theoretically sit there by your turn table and move track to track to track? You could, but it’s not convenient. I mean, vinyl sort of forces you to really commit yourself to at least half a record…I like that it’s not portable. I know that sounds crazy but… Someone once said to me, “Why would you have records? What about when you want to listen to stuff on the road?” I’m like, you know, I wouldn’t give up my books just because I can’t take them all with me either, you know. Willett: Other vinyl lovers feel the same way, and record collectors are abundant in the Oklahoma City and the greater metro area. Rob thinks heightened record sales reflect an overall cultural trend. Vera: I think that people see vinyl and they say, “Hey this is a tangible thing. And this is something that I can hold and I can feel.” Much like the fact that I could go get a burger anywhere but I’m going to go to my local place and do it. I could get my music in a lot of ways but I’m going to choose something that’s a little bit different. And I think that that whole mindset lends itself to a culture where vinyl gets valued again. Willett: And the numbers reflect that. The Rolling Stone reported people purchasing complete albums were down by 13 percent in 2010. In that same time period, vinyl sales were up by 14 percent, although the medium only accounts for about 4 percent of total new music sales. Many people also claim to prefer vinyl for what Rob describes as its humanistic qualities. Vera: Records sound warmer. They sound different. Their little imperfections, their little pops, and their scratches become endearing. They’re more like people, and I’ve always loved that about records. They’re not perfect, but in their imperfections, in that space between their perfection and their imperfections, is something really, really cool. Willett: Okie Dope Records shows no signs of slowing down. For their latest release, they’ve received orders from all over the United States and even Europe, proving that playing records isn’t a thing of the past. It’s 6:30 in the morning. The only sounds are the traffic driving by and the occasional train. It almost sounds like an ocean to me, now because I’ve lived here so long, and I easily sleep through even the loudest horn. The alarm on my phone suddenly starts blaring, jarring me out of my dreams. Aw man, I really wanted to see how that date with Freud was going to work out. Ugh. Why did I set that as my alarm last night? Did I think it would be funny? When did I even download that song? I grab the phone off the dock and shuffle into the bathroom. I push play and one of the podcasts I had started listening to the night before picks up where it left off. The truth is… I might be addicted to audio. After a little math, I realized that I will, throughout the day, listen to an average of 5 hours of audio of some kind. That isn’t even counting the audio that comes from TV or movies of which I also consume a great deal (I am a film major after all). Biking to work, walking between classes, killing time on elevators or waiting in lines, cooking or cleaning… these activities are filled with revelations about: endangered cranes, the nature of memory, my favorite authors, directors and musicians describing why they are passionate about what they do. I could blame the advent of the smartphone for this addiction, after all, it has never been more convenient to find or store content, but the truth is, even when all I had was an old duct taped walkman, I was still pretty addicted. Clip from “Peter and the Wolf” audiobook. My mom was an elementary school teacher, so I basically had unlimited access to her school’s collection of giant orange binders that held a copy of the physical book as well as their audiobook counterparts. Clip from audiobook Rainbow Brite and the Color Kids. I would listen to the same stories, over and over, until I had basically memorized them. I can still quote a few lines from “Bread and Jam for Francis” and “Madeline”(It really kills at parties). Clip from audiobook Madeline, read by Carol Channing. Lately, I’ve been wondering if I should be worried about this constant need for mental stimulation. Is it healthy? A few weeks ago, my only set of headphones suddenly stopped working. I had to endure days of walking, cooking and biking without Ira Glass or Tina Fey or Diane Rehm. It made me uncomfortable and anxious at first, but I eventually came to enjoy the periods of silence. As I walked, I found myself thinking about things I hadn’t revisited in years. It was almost therapeutic. Sounds of taking a walk: gravel underfoot, wind, passing cars, distant voices. Obviously, as soon as I could buy another pair of headphones, I was back to the constant flood of audio content, but I keep thinking about those two or three days when I’d gone cold turkey. If you enjoy the music played on the show, here's a list of some of the tracks used this semester. 16. "A Brief History of Video Games"